Complaints about the current system of accrediting community colleges, combined with the quickly changing scope of community college education and how it’s delivered, may soon necessitate changes in the way that community college programs are accredited. In the summer of 2013, the Accrediting Commission for Community and Junior Colleges (ACCJC), the accrediting agency responsible for oversight of California’s massive community college system, came under fire for withdrawing its accreditation of the City College of San Francisco. Among the ACCJC’s findings was that the college failed to balance its budget and was deficient in staffing and facility repairs. Upon making their recommendation for revocation available to the public, ACCJC faced a firestorm of criticism, with supporters of the college claiming that the commission’s decision was fueled by political bias. Additional criticism has since been leveled against the organization for not following its own policies during the accreditation process. 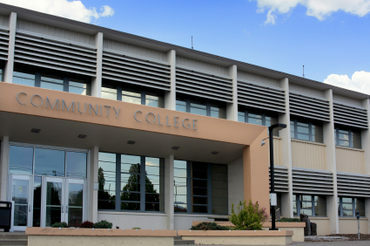 In fact, ACCJC has been reprimanded by the U.S. Department of Education for failing to meet federal guidelines in its review of the City College of San Francisco. Furthermore, ACCJC is accused of violating conflict of interest laws by appointing the husband of the commission’s president to an accreditation review team. What has resulted is a nationwide spotlight on the methods by which community colleges and other institutions of higher learning gain accreditation. Critics of the current system contend that without federal oversight – accrediting organizations are self-regulated – commissions are apt to abuse of power and work under a cloak of secrecy. While these allegations are specific to ACCJC, the criticisms of its policies and procedures have been echoed nationwide. Together with a general confusion regarding the process by which a community college gains accreditation, students, parents, educational professionals, and politicians are calling for a renewed look at how the quality of community colleges is determined. In the United States, there are 19 regional accrediting bodies responsible for evaluating the quality of programming offered by institutions of higher learning. Each organization oversees accreditation for schools within a specific geographic area. For example, the North Central Association of Colleges and Schools Higher Learning Commission is responsible for accrediting institutions in 19 states in the central U.S., from Colorado to Indiana and Oklahoma to Minnesota. Each regional agency is a private, non-governmental organization whose express purpose is to ensure higher education offerings are of the highest quality. The accreditation process involves several components. First, community colleges undergo a self-review process that examines the breadth and scope of available programming. Colleges must be able to demonstrate that these programs meet the standards set forth by the accrediting institution. Second, a peer-review, including an on-site visit by an accreditation team, is undertaken. Review teams, which are comprised of educational experts and members of the public, assess the institution’s curriculum, faculty, student achievement data, and other essential programs to determine if they meet acceptable standards. The final piece of the process is a judgment regarding the school’s accreditation status, which is determined upon review of data collected during the first two phases of the review. The ruling to grant or deny accreditation is determined by the decision-making body of the accrediting organization, which is comprised of educational practitioners, college faculty and administration, and members of the general public. Accreditation serves several important functions in addition to providing insight into the quality of education offered by a community college. In order to receive federal financial aid, students must attend an accredited school. Accreditation is also required in order for colleges to receive funding from many state and federal resources. When transferring from one school to another, admissions policies often require transfer credits to be from an accredited program. Additionally, state licensure boards, such as those for social services, teaching, dental, medical, and other professional fields, require an applicant to have graduated from an accredited institution. Employers will often examine the credentials of job applicants to determine whether they graduated from an accredited institution as well. A primary concern for detractors of a self-regulated system of accreditation is the lack of transparency. Many complaints regarding closed-door sessions, vague feedback, and ever-changing criteria have been leveled against ACCJC. 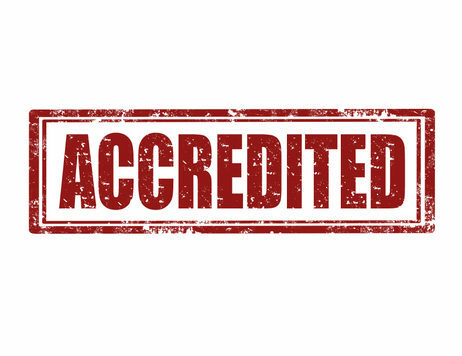 Additionally, each accrediting organization has it’s own set of rules and regulations regarding the process of accreditation, which creates more confusion and even less transparency. Furthermore, critics maintain that the independent nature the accrediting agencies lend itself to a lack of accountability. With no oversight from state or federal governments, some worry that accreditors may bend to influence from corporations, politicians, or personal bias when handing down their decisions. 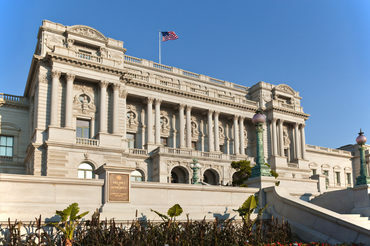 A second complaint is that accrediting bodies essentially act as gatekeepers to federal funding. Without accreditation, community colleges cannot offer federal financial aid to students, and are not eligible to receive federal funding themselves. Schools that lose their accreditation face a vastly diminished reputation, and in many cases end up shutting down without access to federal financial support. With that much power over a community college’s ability to function, critics argue that accrediting commissions should be held in check to some degree by the U.S. Department of Education. The bureaucracy involved in meeting compliance with accreditation is also an oft pointed to flaw of the current system. Education professionals decry the time, money, and energy that must be spent trying to meet the requirements of an accrediting body whose decisions are neither transparent nor publicly debatable. 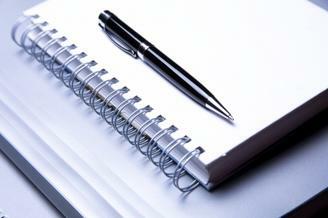 These precious resources, they argue, should be used instead to improve the quality of education delivered to students. For many critics, the most troubling aspect of the current accreditation system is its focus on institutional finances and governance, rather than on student outcomes. As discussed above, City College of San Francisco lost their accreditation due to budgeting and staffing concerns. Yet, the school’s academic record is quite strong: Over 55 percent of its students graduate or transfer to a four-year institution within six years, as compared to the California state average of 49 percent. Furthermore, 75 percent of the college’s students attend school at least three consecutive semesters, which again outpaces the state average. If accreditation is supposed to reflect a college’s academic performance, opponents of the current system wonder why the ACCJC seems to have instead focused on nonacademic issues. California Assemblyman Rob Bonta has presented legislation that would overhaul some aspects of the community college accreditation system in that state. Currently, ACCJC is responsible for all accreditation decisions in California. However, Bonta’s legislation would allow community colleges to choose from a pool of federally recognized accrediting institutions, thereby creating competition for accreditation services that would serve to improve the quality of oversight received. The new proposal would also require accreditation decisions to be made at a public hearing, with a time period for public feedback and an appeals process included. Additionally, Bonta’s proposal would require accreditors to maintain records regarding their decisions for at least 10 years, which would also be made public. The purpose of making these changes is to make the accreditation process less confusing and more transparent. It is hoped that such openness would encourage input from all stakeholders, while ensuring that those responsible for accreditation are following proper procedures that ensure equity – something that critics maintain is lacking under the current system. They point to the fact that some institutions receive a warning for violating quality standards, while other colleges face revocation of their accreditation for lesser offenses. Community college students and faculty, community stakeholders, and the California Federation of Teachers have all come out in strong support of Assemblyman Bonta’s proposed changes to bring equity to the system. While these changes would apply only to California’s 112 community colleges, leaders in other states and in Washington, D.C. are monitoring the situation carefully. The outcome of numerous lawsuits filed against the ACCJC and the success or failure of the reform bill in the California Legislature may well determine future action regarding accreditation in other states and at the federal level. While President Obama has already outlined his ideas for overhauling accreditation procedures, which include using outcomes-based assessments such as graduation rates and job placements to determine whether an institution retains its accreditation, no official reforms have been undertaken by the federal government. For their part, accrediting agencies have made forward progress in updating their procedures to reflect the changing landscape of higher education. Some agencies have instituted more rigorous standards for assessing student learning, while others have employed strategies for improving graduation rates. Accrediting bodies are also trying to stay ahead the curve with regard to the competency-based education movement, which awards credit based on assessments of a student’s knowledge and ability as opposed to the traditional time-based course credit model. Whether changes to the process of accrediting community colleges come from current accreditors, the states, or the federal government, one thing is clear: the current system faces much criticism at all levels. In order to ensure community college students receive a quality education in today’s high-tech, distance learning, and competency-based environment, new criteria for “quality” will have to be implemented. AB 1942 Calls for Fair Accreditation of Community Colleges. California Federation of Teachers, 19 Feb 2014. <http://www.cft.org/news-publications/media-center/news-release/749-ab-1942-calls-for-fair-accreditation-of-community-colleges.html>. Accrediting Organizations in the United States: How Do They Operate to Assure Quality? Council for Higher Education Accreditation, 2006. Web. 16 June 2014. <http://www.chea.org/userfiles/uploads/Quality%20Platform%20-%20Summary%20Doc.pdf>. Information About Accreditation. Council for Higher Education Accreditation, 7 Mar 2013. Web. 16 June 2014. <http://www.chea.org/>. Kelderman, Eric. Obama’s Accreditation Proposals Surprise Higher-Education Leaders. The Chronicle of Higher Education, 13 Feb 2013. Web. 16 June 2014. <http://chronicle.com/article/Obamas-Accreditation/137311>. Rivera, Carla. Critics Call for More Oversight of California Accreditation Panel. The Los Angeles Times, 26 Jan 2014. Web. 16 June 2014. <http://www.latimes.com/local/la-me-college-accredit-20140127-story.html#page=1>. Romney, Lee. Community College Accreditation Commission Under Scrutiny Again. The Los Angeles Times, 15 Oct 2013. Web. 16 June 2014. <http://articles.latimes.com/2013/oct/15/local/la-me-ln-community-college-accreditation-20131015>.